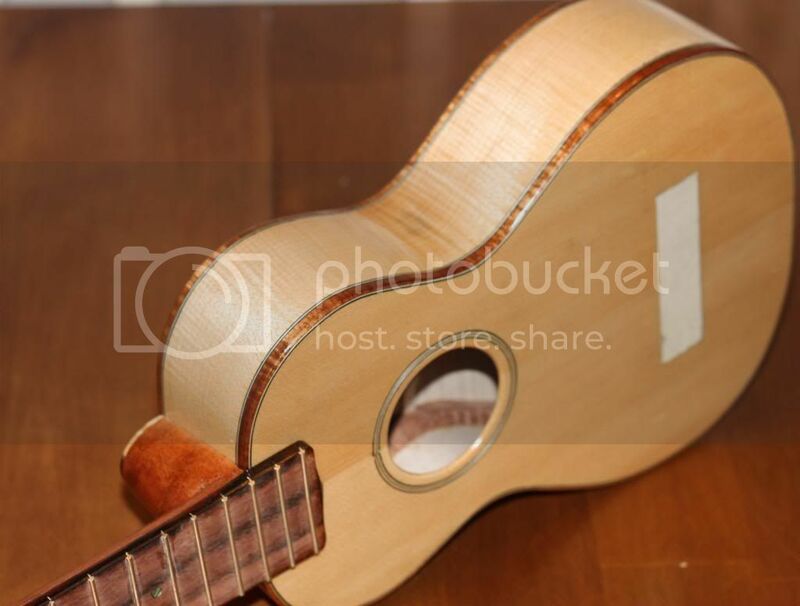 Kaapo's concert uke is now finished, Miika's one is still under finishing process. Third one for myself has still a long way to take shape. 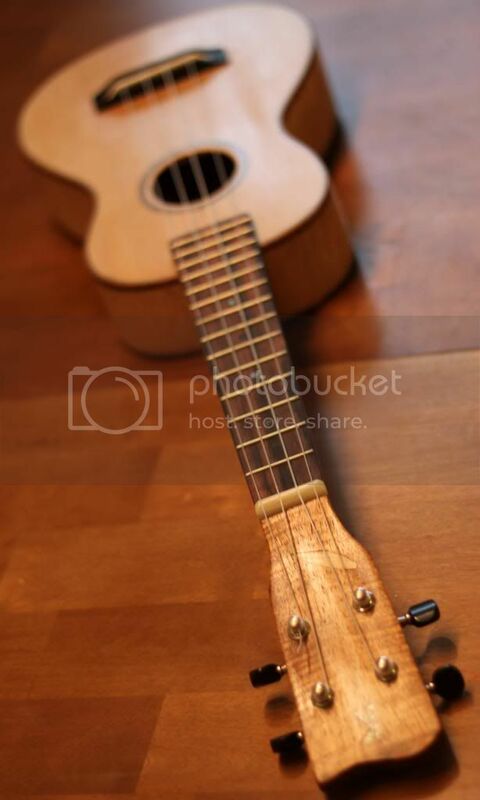 Here are some pics of the instruments, which seem (and sound) to turn out pretty nice and genuine players. Back and sides flamed bosnian maple. 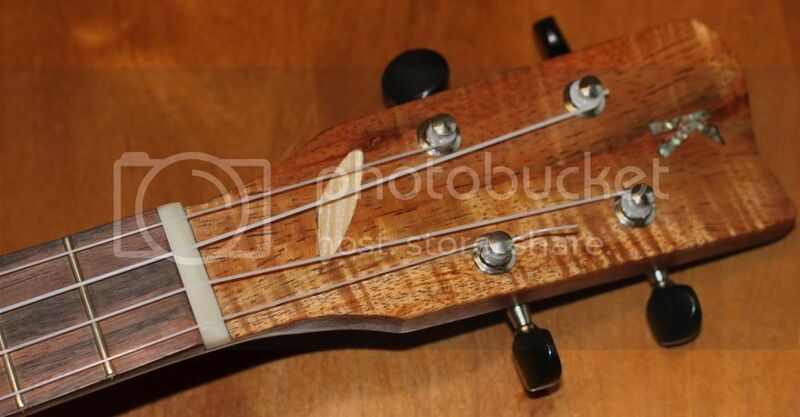 Top is european spruce, and the binding Hawaiian Koa, of course. 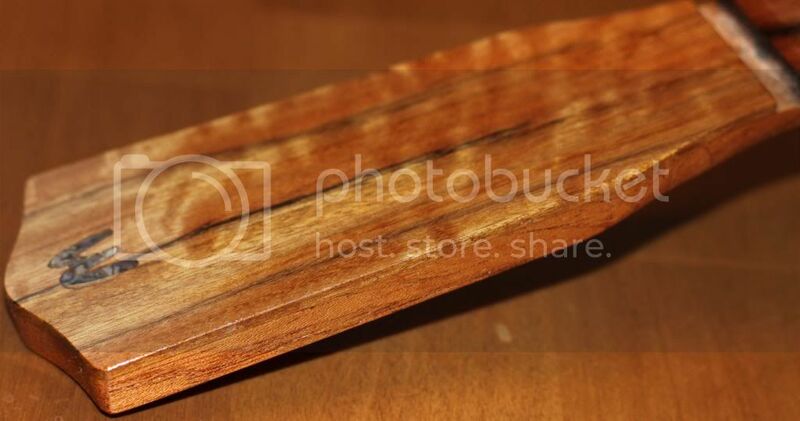 The head plate is book matched Koa,. There is a little K (for Kaapo) and a maple "leaf" on the headstock. If you promise not to tell anyone, I'll tell you I had to put it there to cover up a very nasty cut made accidentally with a router. Not bad for leftover wood. The centerpiece is sapele, an offcut from my second build. Matches nicely with the koa binding. 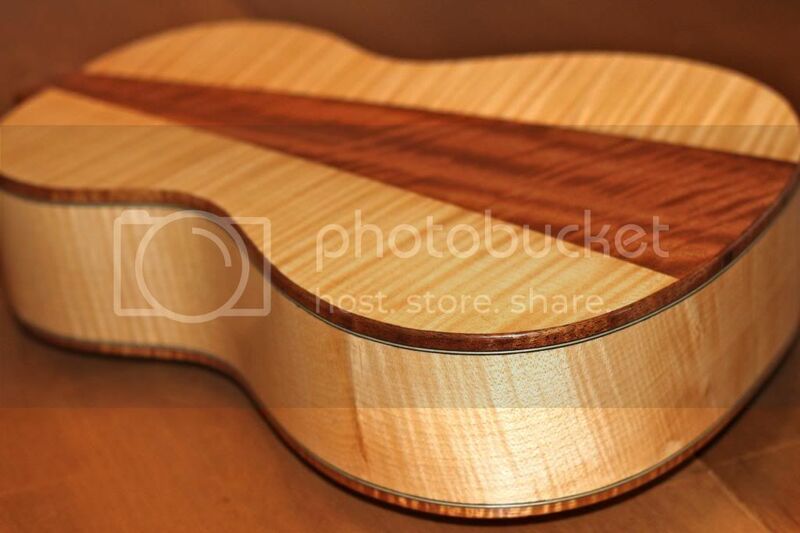 The flamed maple was originally bought to be made into binding. 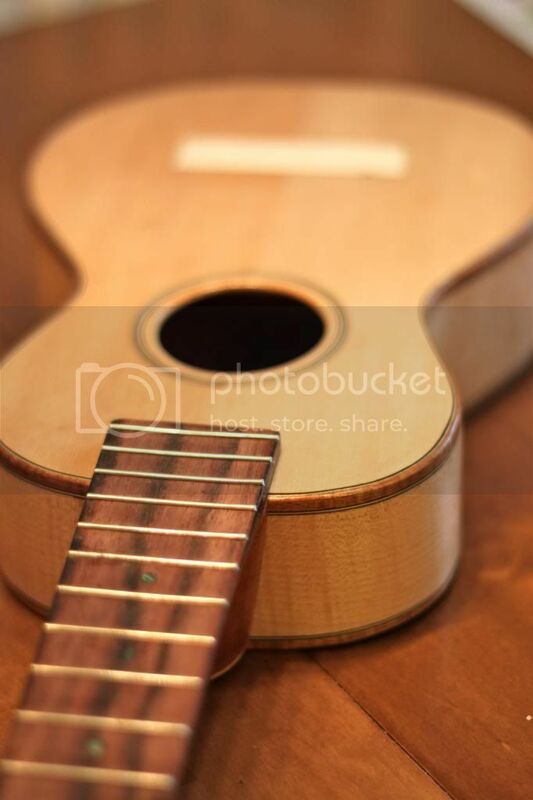 My co-builder and owner of the uke wanted the headstock with an asymmetrical shape. 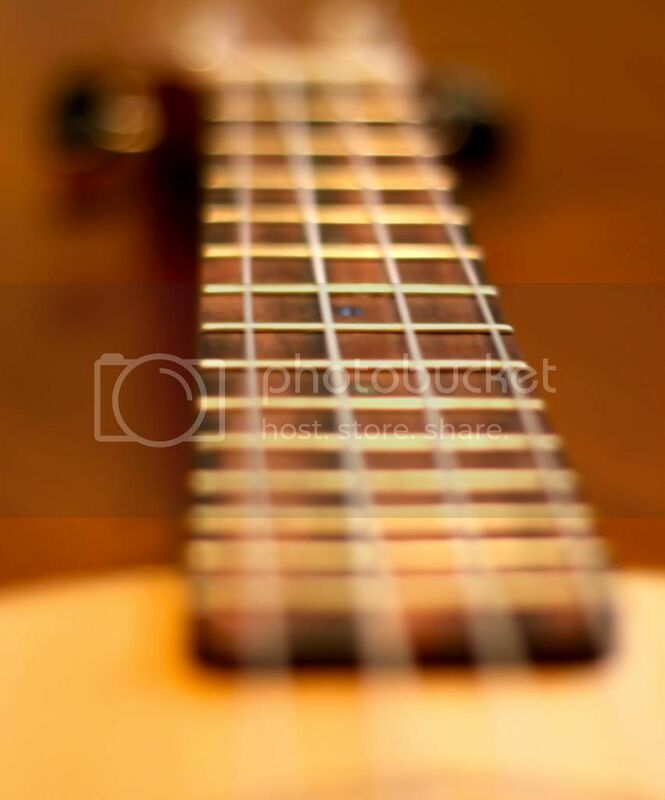 Tuners are good quality Grover Sta Tites. 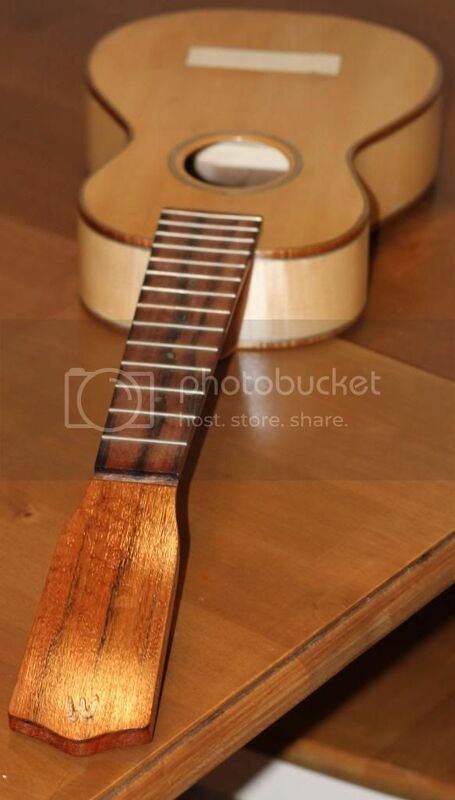 Neck is made of African mahogany. 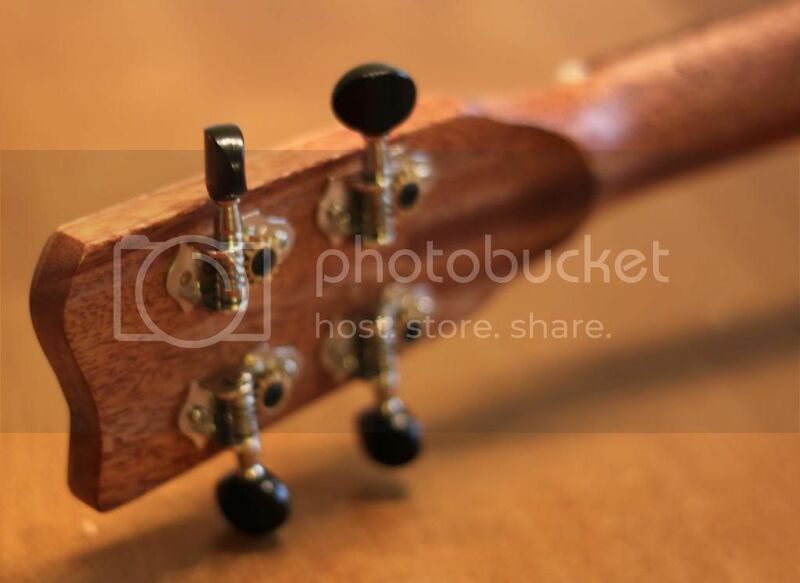 Miika's headstock, short of tuners. The veneer is ovankol, an offcut of my next guitar build. Miika's neck is Brazilian cedar (cedrela odorata) not so flashy looking as sapele, and much lighter. 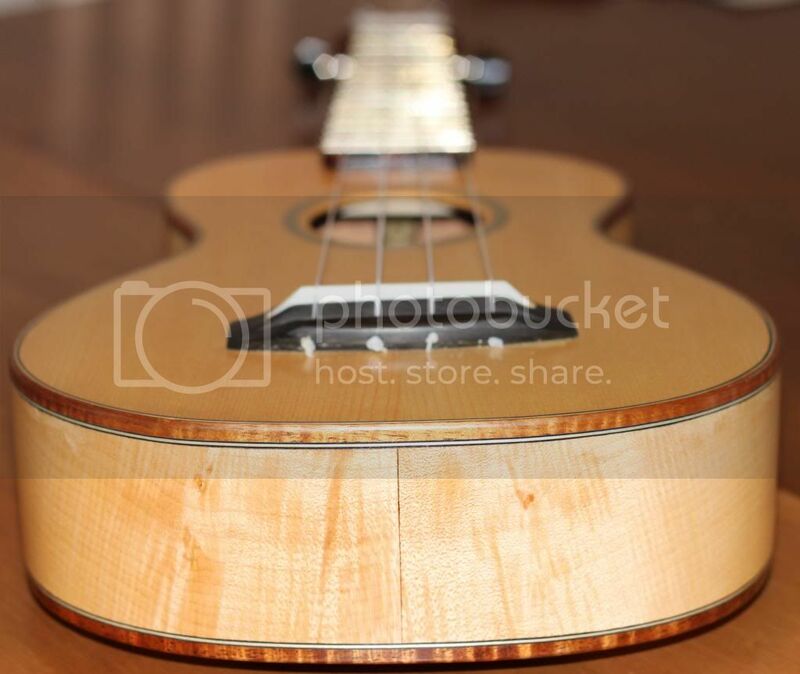 Both ukes have a graphite bars inlayed under the fingerboard. It's gonna be a player! 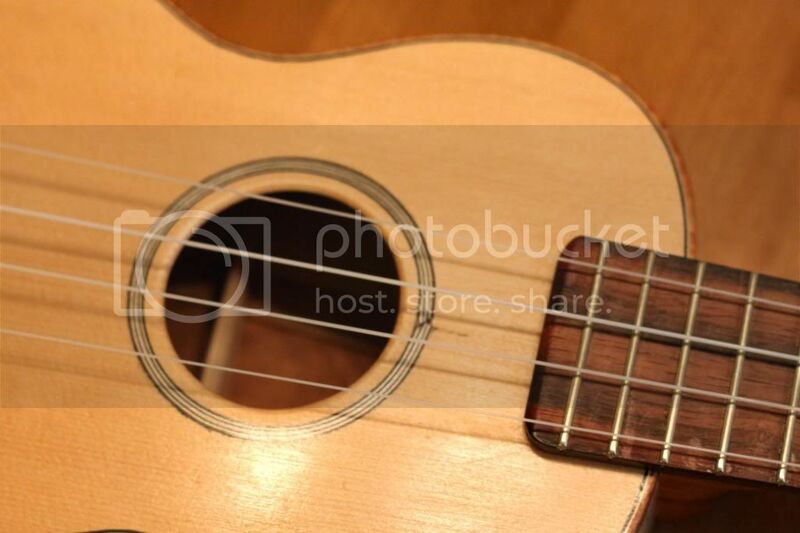 Wait... there's a third ukulele!